September 21, 2009 0 comments on "Dinosaurs, Fossils, and Paleontologists as a Fun Kid Dinosaur Activity"
What child does not love dinosaurs? I believe kids are fascinated with dinosaurs because they lived millions of years ago, they come in all sizes, and have really cool names! The most popular are the Tyrannosaurus Rex (T-rex), Brontosaurus, and Stegosaurs. There are actually hundreds more, and scientists are finding evidence of more dinosaurs all the time. A kid dinosaur activity could include the study of fossils. Scientists learn about dinosaurs by finding and studying fossils. These scientists are called Paleontologists (anyone remember Ross from Friends?). People began discovering dinosaur fossils as early as the 1700s. Dinosaur fossils take the form of bones, eggs, and footprints impressions in rock. A fossil is the record or remains of a living thing that has lived in the past. Fossil prints are preserved when the soft mud in which they are made forms into stone. Assorted shells, leaves, sticks, etc. Mix 2 cups of plaster with 1 1/4 cups of water in the container. Spread the plaster in the bottom of the pan to about 1-inch thick. Wait about 2 minutes until the plaster begins to set. Coat the shells, leaves or sticks with petroleum jelly and press into the plaster just enough to dent the surface. Remove items after a few minutes and let set until it’s completely hard. This is the mold. Coat each mold (indent from shells etc.) with petroleum jelly. Now mix up another batch of plaster and pour into the molds. Let the plaster harden, then gently separate the “fossil” from the mold. If they don’t separate easily, hold the pan upright and gently tap with small hammer. Kids will find this dinosaur activity very interesting. If you want, make a hand or foot prints using the same procedure as making a fossil from leaves or sticks. Just remember to coat the kids’ hand or foot thickly with petroleum jelly. Now the kids can say they know what a Paleontologist is! 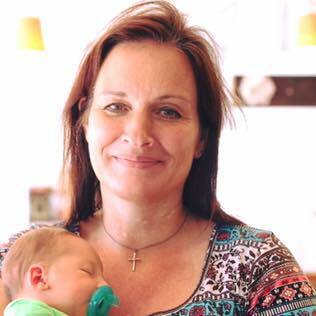 Nancy Johnson is a mother, grandmother, and child development professional.